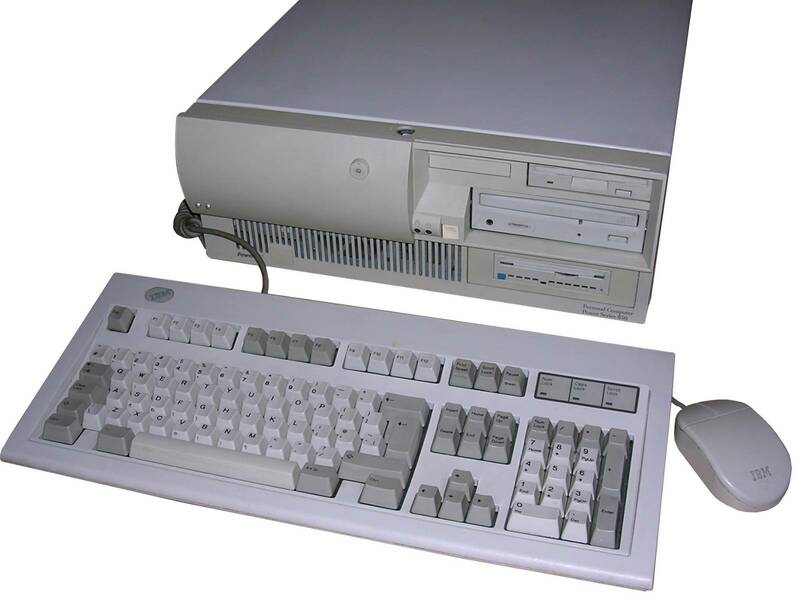 Since 1980s IBM designed their PCs for office applications. They later turned to general purpose machines, yet their purely computational power was, for some customers, just not sufficient. Scientific computation, servers and mass data processing required more power offered by mainframes and faster CPU architectures than Intel's x86 used in PC. RISC microprocessors made by IBM and Motorola were already around, used mostly with higher performance machines. In early 1990s, an AIM alliance has been established (Apple, IBM, Motorola) to use POWER and later PowerPC architecture in desktop computers. Motorola could make chips (they already had a small RISC called 88000), IBM - computers and Apple - software. Later, Microsoft ported their Windows NT to PowerPC and Sun had Solaris 2.5 for it by running virtual Sun firmware. IBM built their own computers around Motorola's PowerPC chips. So in mid-1990s IBM offered a high-performance servers and workstations under RS/6000 brand. 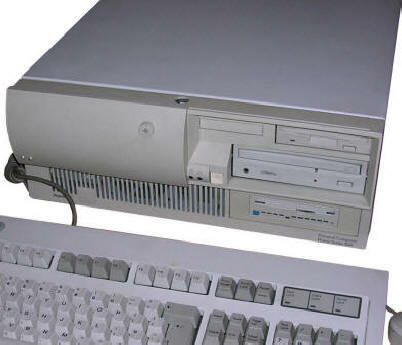 They contained PowerPC processor, large amounts of RAM and powerful graphics adapters with own IBM's display standard. IBM offered AIX, their Unix, for these, while Microsoft offered Windows NT. Power Series was very close to RS/6000 - in fact it was an RS/6000-series model after lifting making it look more desktop-like. It was an attempt to make RISC popular in wider area. There were plans to port OS/2 on it to make it more usable by ordinary user. 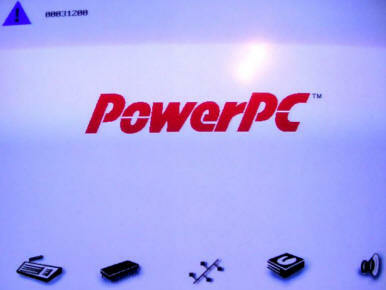 There were 3 models of Power Series PC. Model 830 had 100MHz 604 processor, 850 133MHz and there was probably model 860, I don't know its specifications. Model 440 was an earlier introductory model with 66MHz 601 CPU. Not counting ThinkPads. Unfortunately high price and lack of PowerPC software stopped these plans. The OS/2 attempt ended with experimental version (OS/2 ran on Mach Kernel) and the only more-or-less mature systems were AIX (server-grade UNIX with CDE as GUI) and Windows NT (up to 4.0), in which a few programming tools have been ported (and even newer versions of Internet Explorer were not ported). In early 2000s PowerPC architecture returned to high-power servers and computation clusters... And, of course, Macs. Recently (2018) as POWER architecture is more open than Intel's, there is an attempt to build an open and libre computers based on modern Power architecture. My unit was bought as a CAD/design/simulation station and was probably used with AIX. Not much more os known about it. Windows NT - only 16-bit Intel/PC applications will run, in performance similar to 486DX4/75. It's because 16-bit mode, as well as "DOS" layer is emulated here (direct access to e.g. disk crashes program). 32-bit applications have to be for PowerPC. There are some programming tools for PowerPC, but I don't think there are more. OS/2 - it can be installed and started. This is an experimental build for PowerPC, which consists of unfinished bootloader, Mach kernel and binaries re-compiled for PowerPC. Some programs work well, some crash. Opening too many windows crashes the system. Built-in multimedia support faster than built-in file manager :). More than 64MB of RAM causes the system to be more unstable. Not much can be done here. AIX - this is Unix. You can theoretically port something to it as it has a cc compiler. Solaris - Seriously, I never tried that. Linux - Please, don't. It is theoretically possible, but to launch X and its software in modern Linux you need lots of RAM, and although you theoretically can stuff six 32MB SIMMs there, the memory test will take lots of time. 1. There is no built-in setup program. To run configuration utility, place SMS (System Management Services) diskette 1 in drive, power the machine up and press F4 all time to make it boot from floppy. Then you'll get something like ThinkPad's GUI setup. Please don't low-level format SCSI drive. Additionally, if you keep hitting F4 during boot-up, you get to a mouse-less SMS setup in pseudo-textmode (looks like text mode, but it isn't). 2. Press F2 at startup to bring boot menu to choose which disk to boot from. I have a WinNT SCSI disk and IDE disk with OS/2. 3. To install WinNT, as in ThinkPad, you have to install ARC loader first and boot WinNT CD from it. You can use ARC 1.51 from ThinkPad 850 page. 4. To install OS/2, boot directly from CD. To boot from CD, you MUST have a CD-ROM drive with native, hardware 2048 bytes/sector mode. Only very old drives have it, later have 2352. Without it, the BIOS will NOT boot a CD! 5. Even if you find this OS/2, please don't install OS/2's boot manager (if you're trying OS/2 from OSBA). It is so early version that it doesn't work at all. 6. You can use IDE and SCSI disks in the same time. 7. During installation of Solaris, you may get a hang. Some people report that in this case removing IBM's PCI video board and running install on built-in display allows to complete installation. For SMS and updates, you may be interested in the following files. - ros104.exe - v. 1.04 firmware, compatible with SMS 1.02. Since some version, typical "music" start-up sound has been replaced with second beep. If you want to bump it up to version 1.11, you may use firmware for RS/6000 7248-100/120/132, a very similar model, which is a 7248100.exe. (e.g. here or here , or in IBM's site , password is **RS/6000** with these asterisks). Although IBM serves such update as for 6070-850 (Power Series 850), and I got through updating procedure with my unit successfully, it's not guaranteed that Your unit will run with it as there's no mention about Power Series 850 in this update package. The enclosed SMS version 1.07 is not much different than the one from 1.10, the only difference is presence of Audio Solo Card drivers in 1.10. 4. In older versions, play sound here, in newer - not. 7. Beep 3 quick tones. 15. Load network drivers and tcpip protocol driver now. 16. In some versions play a "ready" sound. The files from RAM disk can be, for research purposes, moved using a floppy drive and analysed outside of computer. It means, displays Simple and Advanced setup menu instead of Windows menu. Sometimes this happens, usually after diagnostic tests, boot order changes, SCSI ID changes or drive replacement. Go to Advanced Setup, System Management Services, Add, select SECOND partition on Windows NT drive (first one is for ARC), then answer questions. When it asks is the system partition in the same as loader answer No, select THIRD partition. Should re-add Windows NT to menu. First of all, SIMMs. Memory. You can put 6 modules and it usually runs up to 192MB. However, not all SIMMs are compatible. To check memory compatibility, boot SMS, preferably to safe mode (F4 all time during boot-up) and use memory diagnostics. If it blown up into debugger, it means that memory is NOT compatible. The more memory you add, the longer the start-up test will be. My unit has 96MB (6x16MB) and has start-up time of more than a minute. Some specific ROM-less SCSI cards for PCI slots like NCR ones can be used on a BIOS level to work as disk controllers. You can use IDE and SCSI disks at the same time, only use F2 boot menu to choose. While installing SCSI board in a bottom PCI slot, be careful where the ribbon cable is gong. You don't want it to be damaged by ?diagnostic? pin header near graphics subsystem chips. Some changes in SCSI device numbers may cause ARC to fail to detect partition (FDisk module load error) and then it needs to be corrected or ARC reinstalled... maybe including corrupting data. And here the problem begins. If you think it's easy because there's a PCI, remember that you need PowerPC drivers too, and then it becomes complicated as PCI boards don't have such drivers. One of upgrade boards was an IBM's GXT150M, it's a 3MB 2D accelerator capable of 1280x1024, but be careful not to accidentally connect a Sun monitor to it - the pinout is totally different (see link). The exact scans of this board can be found in the VGA Museum. If you have a board in slot and you don't connect a monitor to it, it will boot-up in the mainboard display, but ARC will display in the GXT board, so Windows NT will have a better card to run. If you don't have a monitor, the board then should be removed (or kept in ISA bracket, outside of any slot). The on-board video solution is a 2MB S3 graphics solution (Vision864 to be exact). Theoretically yes, there is a socket for 604+ CPU and corresponding voltage regulator board header nearby, but I don't have any idea were there any upgrade kits for it. The original CPU is soldered in and equipped with a very poor cooling solution, so overclocking is not useful here. First of all, CPU is located right under hard drive cage and if both drives are installed, there is less than centimetre of air above fan. While 2 sides of heatsink are covered by HDD's power and ribbon cables, it's just impossible to cool it efficiently without additional fan which is located in the front of computer. Additionally the mechanism pressing fan assembly to CPU is poor - it is based in only 2 points and heatsink is prone to skew. During removal it may even get loose and not go from CPU as it's mounted only to board. Power Series 850 uses an IBM's AT with software power switch in separate connector, 5V Stand-by in another one and additional TWO 3.3V PCI connectors. Hard to get, possible to make from ATX while negating (or latching?) power-on signal. There are more ISA slots, but I don't know about other boards with PowerPC drivers for it. http://web.archive.org/web/20000304070050/http://www.rs6000.ibm.com/support/micro/downproc.html - procedure to update BIOS in 850.
http://www.os2museum.com/wp/the-carolina-mystery/ - About Power Series Mainboard. My unit also has engineers' names on it, yet on solder side. For better System description, read the redbook. http://www.os2museum.com/wp/os2-history/os2-warp-powerpc-edition/ - Description of PS/2 PowerPC Edition.